Immune system. Artwork of dendritic cells (purple), initiating a T killer cell (white blood cell) attack on a cancerous tumour (centre). 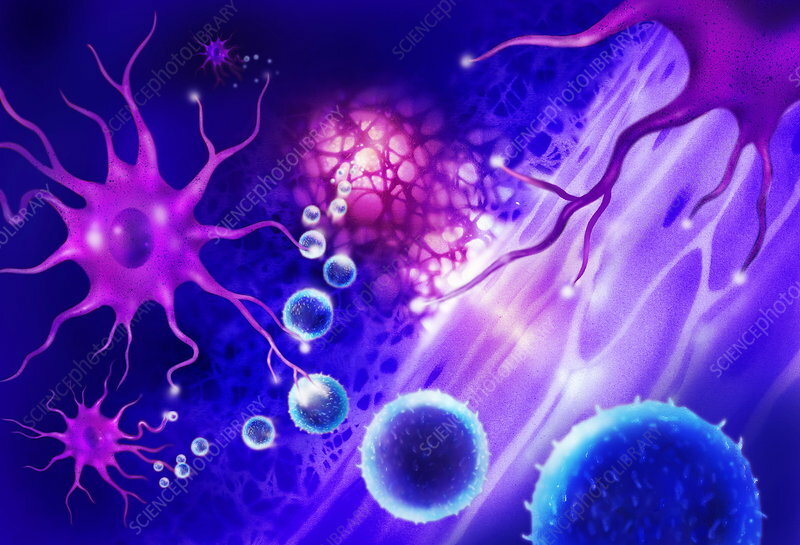 Dendritic cells are macrophage cells found in the body's tissues and are part of the immune system. The long projections from the cell body help with movement. The cells recognise and engulf foreign cells. They may then display the foreign antigen as a warning of the infection to other cells. Dendritic cells interact with other cells in the immune response, such as T killer cells (blue).